This is a stitch combination I recently conjured. I am not sure if anyone has produced the same pattern, if they have, please notify me so I could reference them properly. The cable consists of six front post dc stitches twisting and turning, with additional 3bpdc on the middle to create an illusion of depth. 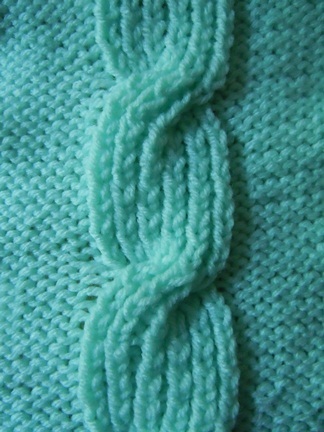 The base is alternating 3fpdc and 3 bpdc to form the ribbing. 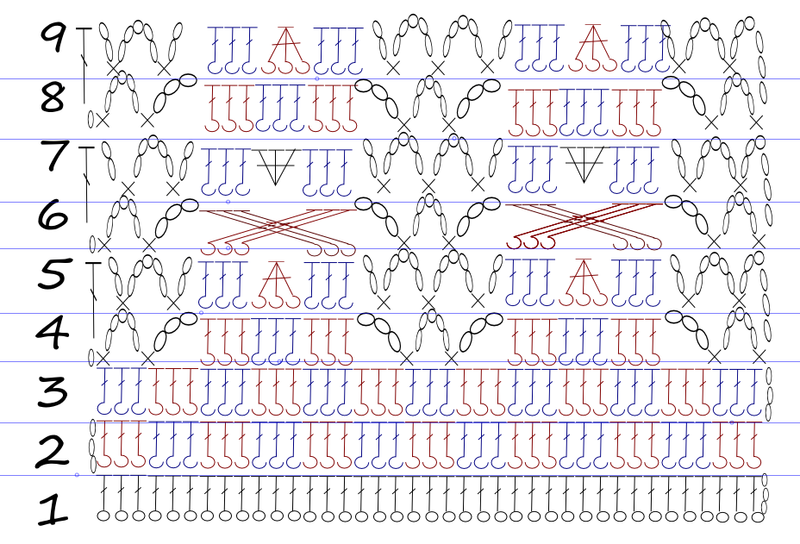 The mesh is alternating 5ch sc. When on the right side, FPDC creates the ribbing and BPDC creates the depth, and vice versa when on the back side (BPDC = rib, FPDC = depth). 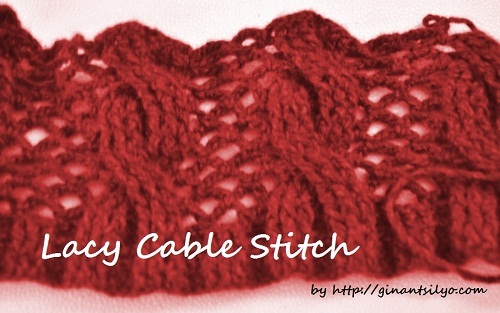 The crossing of the ribs will create the cabled stitch. 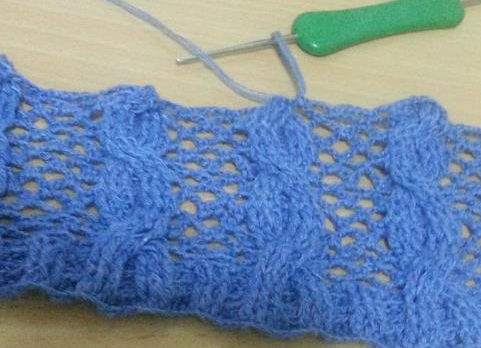 This entry was posted in Learn Ginantsilyo By Project and tagged lacy cable stitch on March 21, 2013 by Lorelie Dazo.